Hello! Happy New Year's Eve! Can you believe that today is the last day of 2015? This year went by really quick! 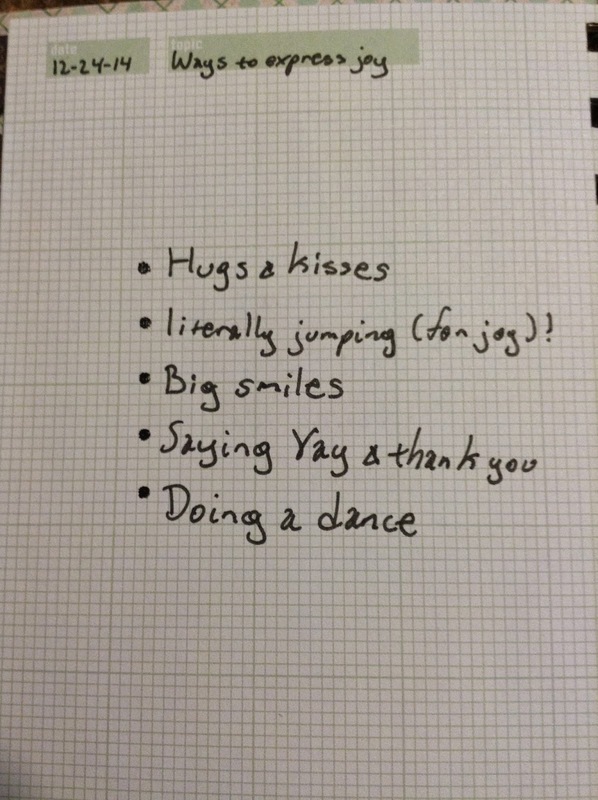 Today, I want to share my last two lists from 30 Days of Lists. Thanks for visiting today! I hope you all have a Happy New Year! Watching: I can't wait until the Walking Dead premieres again in February, but in the meantime this marathon will do. It's amazing to see how the characters changed throughout the seasons. It's amazing how much Carol has changed! Reading: I found out about the Top Ten Blog Hop and have been loving all of the cards, layouts, mini albums, and other projects that have been posted. 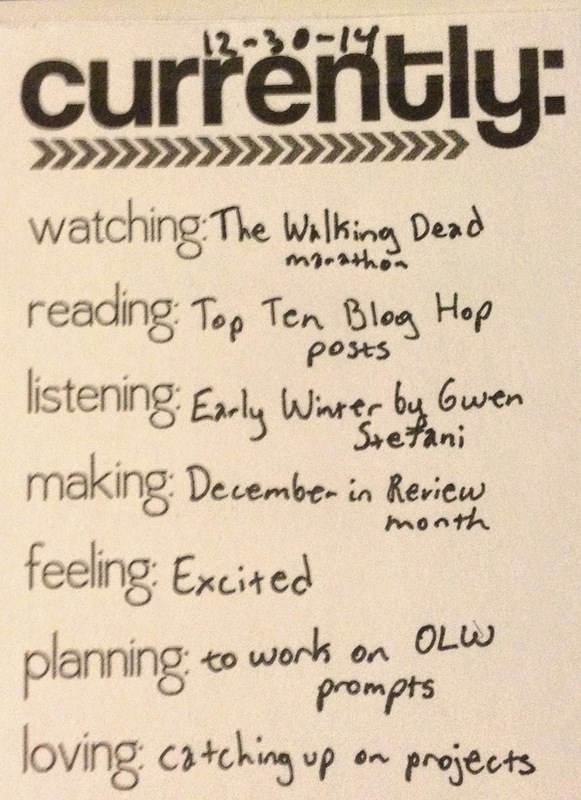 Listening: I've been listening to Gwen Stefani's songs (especially the older ones) for the past few days. The chick is seriously awesome. 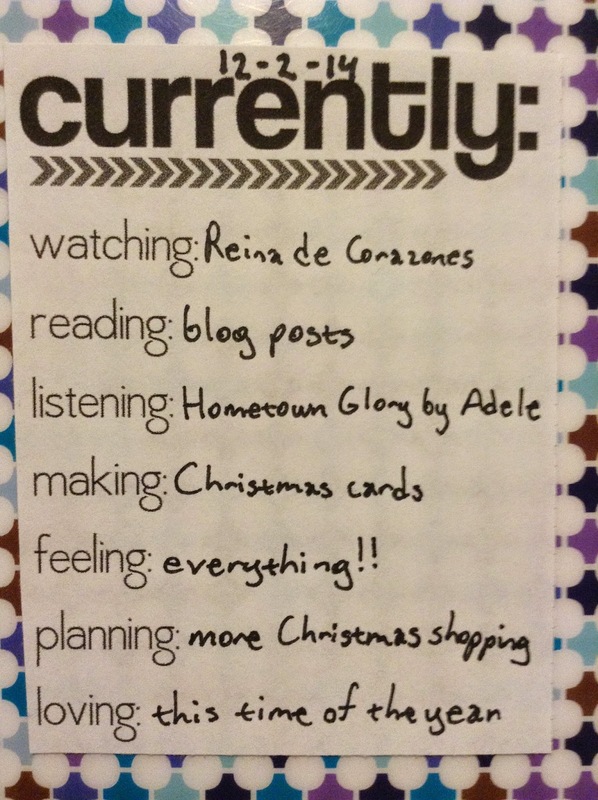 Making: I'm super excited to work on my December in Review month card. 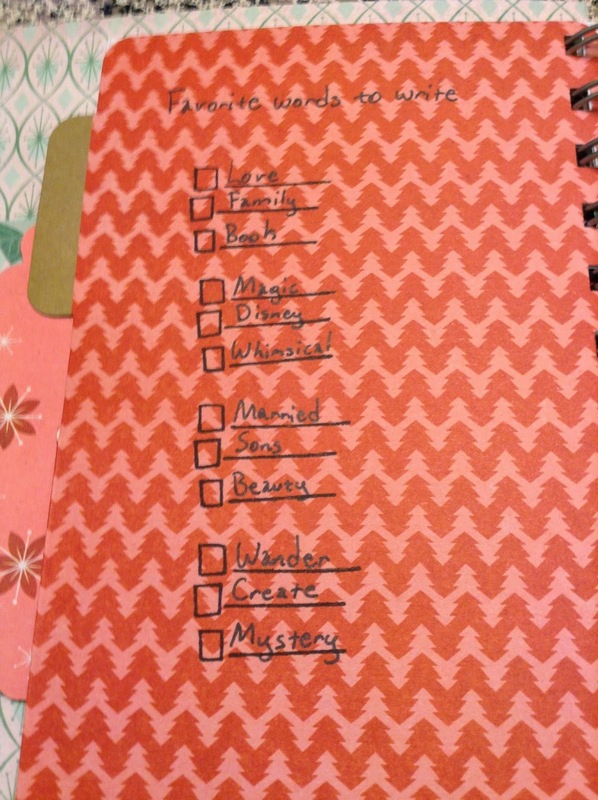 I may have to make two of them because I can't decide whether to put it in my Project Life album or in my art journal. Feeling: I'm super excited because today is date night! My husband and I are going to the movies to celebrate my birthday. My birthday is next Monday so I decided that I wanted to celebrate it early. 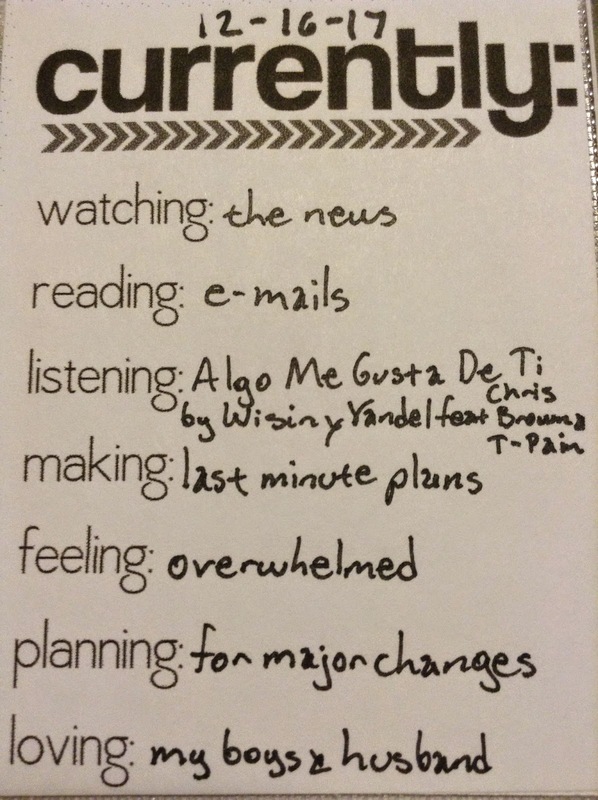 Planning: I finally caught up on several of my One Little Word prompts, but I still have at least 3 to finish. I really want to finish these prompts by the 31st. 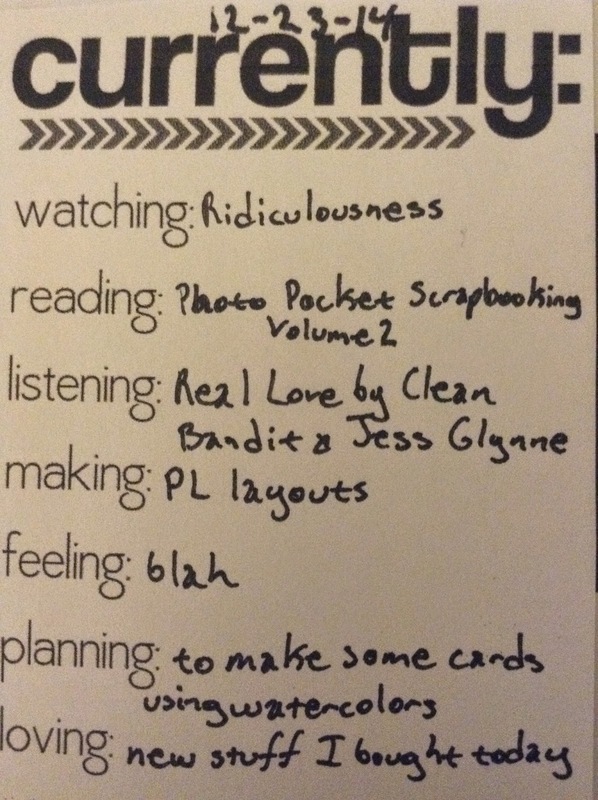 Loving: I am loving that I am catching up on a lot of my projects. I have so many other ones that I want to get started on, but I won't do it until I am done working on some other ones first. Happy Sunday! 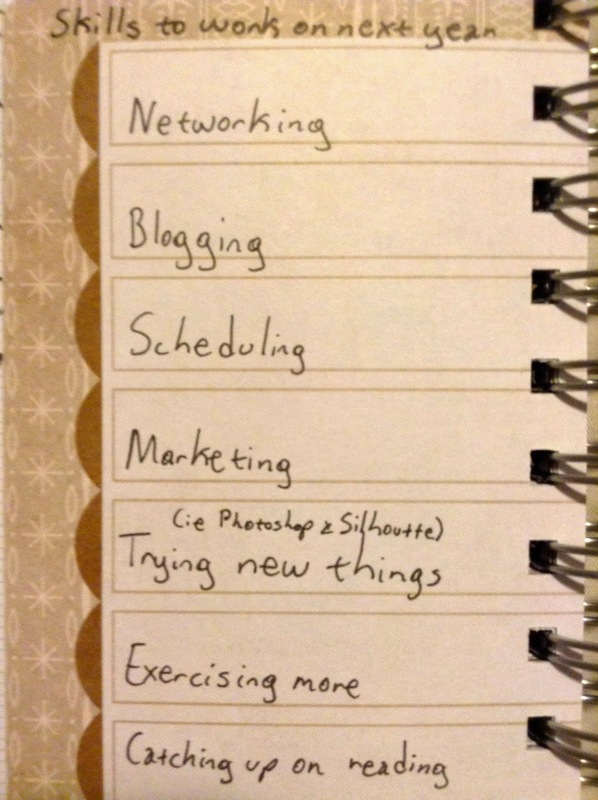 Today, I want to share my take on lists 22-28 of 30 Days of Lists. Saying "yay" & "thank you"
Hello everyone! Just wanted to wish you all a Merry Christmas! Enjoy the holidays! 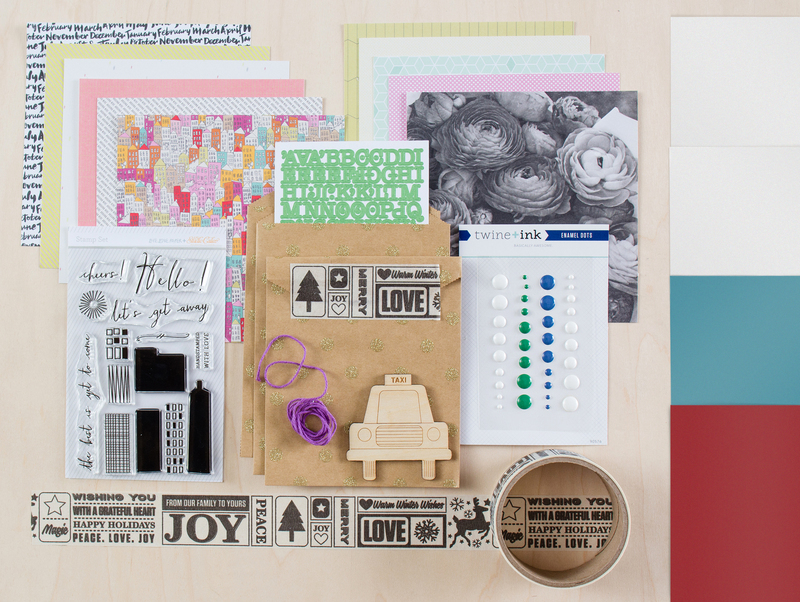 Reading: I picked up the new Photo Pocket Scrapbooking magazine and I am in love! 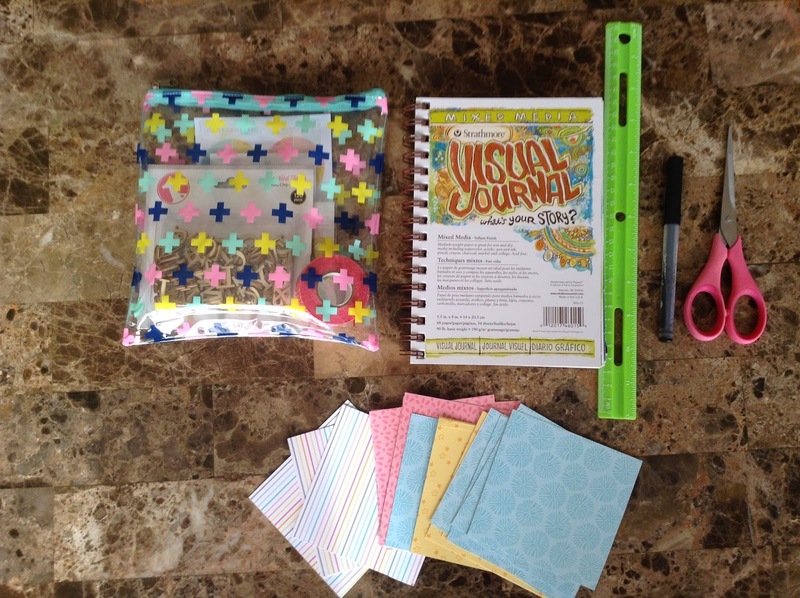 There are tons of great projects and ideas in there! I definitely recommend that you all purchase it. Listening: This song is just amazing. I just can't stop listening to this song! 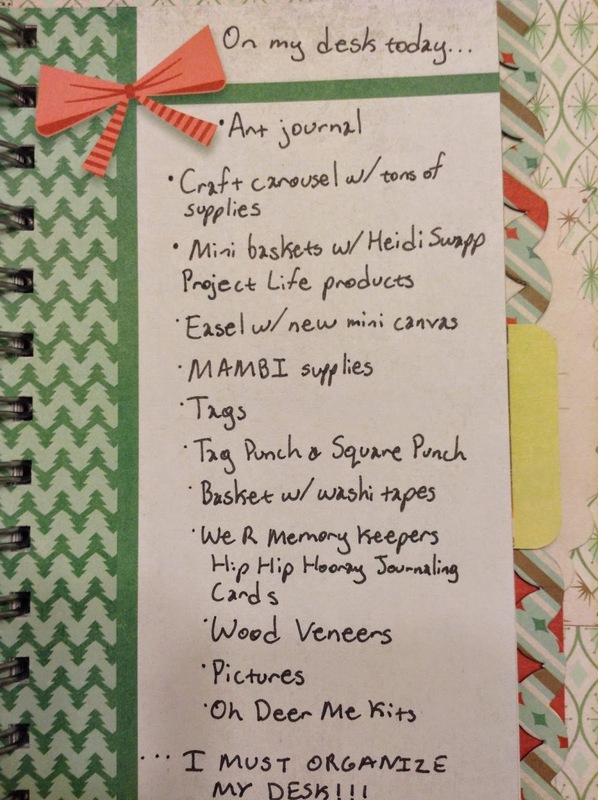 Making: I need to catch up on my Project Life and December Daily layouts. 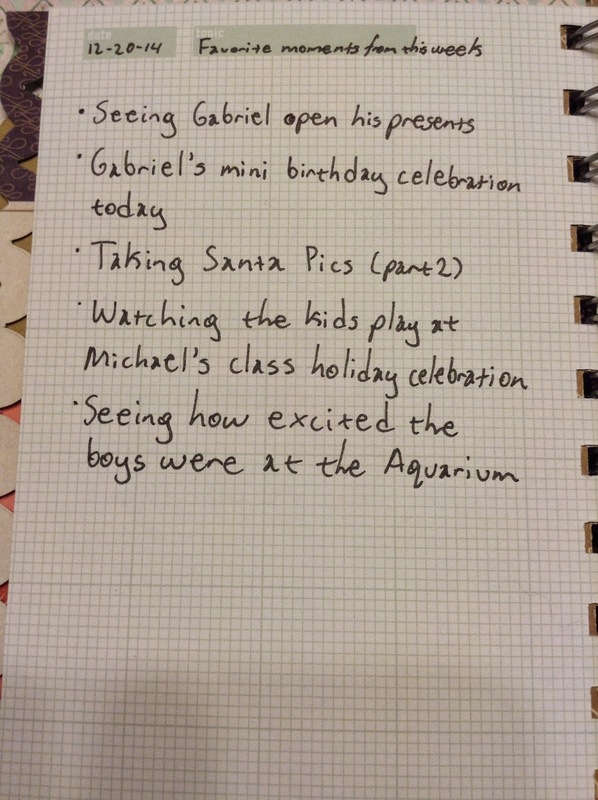 I mainly need to journal and come up with ideas on the days that I did not take pictures. Feeling: I hate that I am sick especially with Christmas being right around the corner. Hopefully, this horrible cold goes away soon. I'm already stressed and slightly annoyed so being sick is not helping. 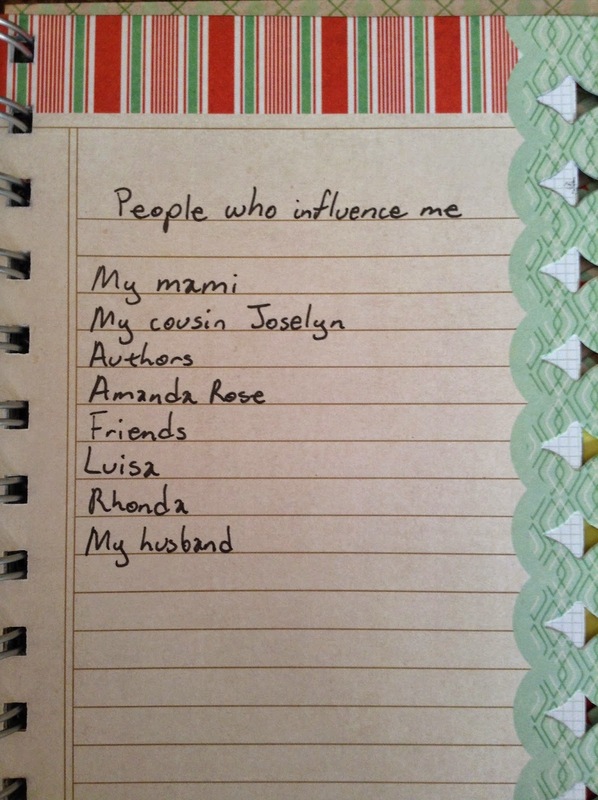 Planning: I saw this awesome blog post on Heidi Swapp's blog and I just love what Jaime Pate made. I have already been wanting to try some watercolors on handmade greeting cards as well on Project Life cards so hopefully I can work on that this week. Loving: So I bought an extra art journal, a Heidi Swapp opaque magic medium, color shine in sweet cherry, and a watercolor pad. I can't wait to use these supplies soon. Hola! Can you believe that the month is almost over and Christmas is in 4 more days?!? 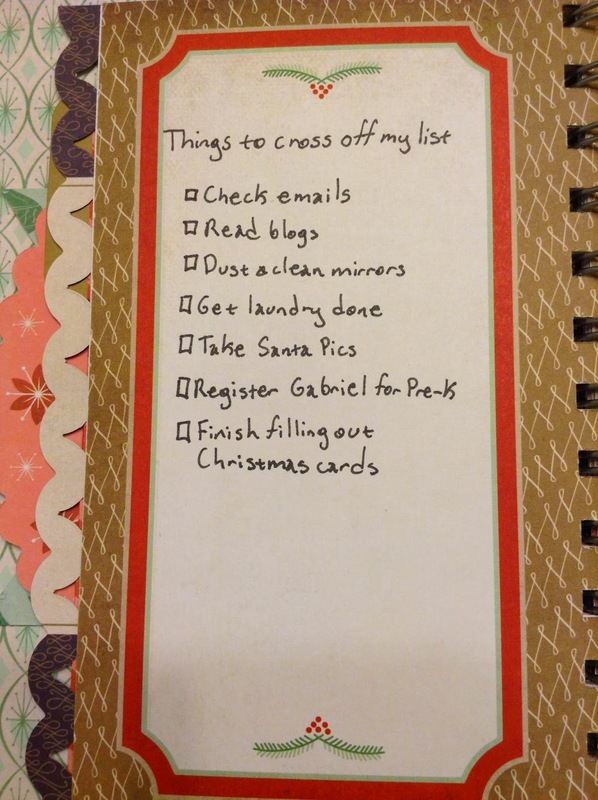 Today I am going to share lists 15-21 of my take on 30 Days of Lists. ...I must organize my desk!!!! Thanks for visiting today! 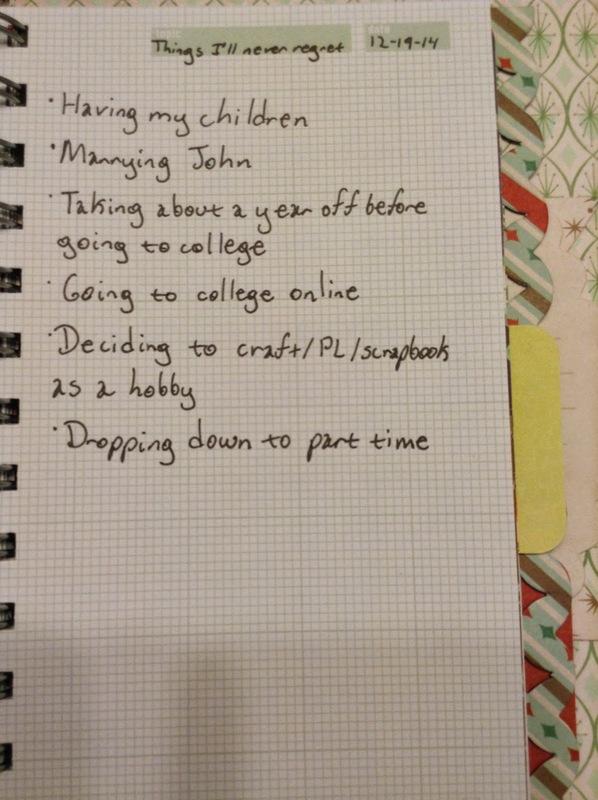 Feel free to share your 30 Days of Lists. Happy Friday! Can you believe Christmas is almost here? 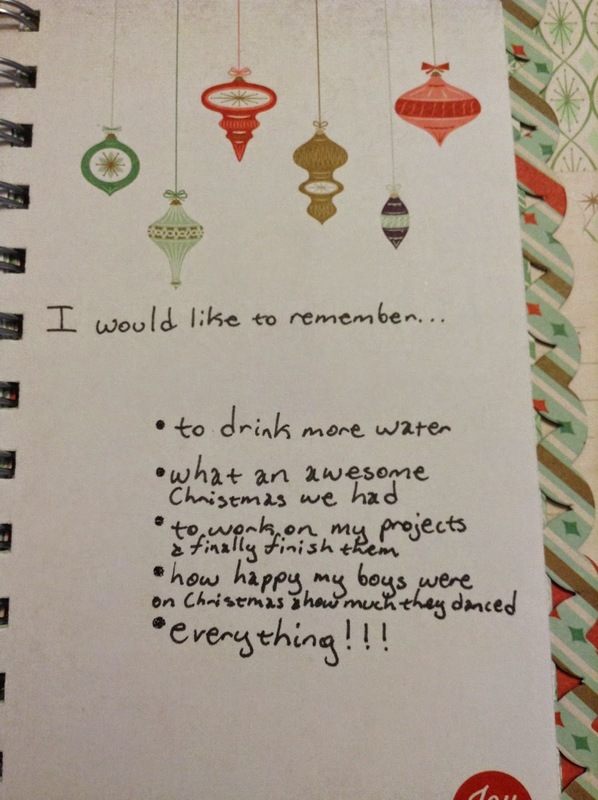 Hopefully, all of you are done (or almost done) shopping for gifts. I don't even want to think about how crowded it will be in malls and stores this weekend. Luckily, all of my shopping is done. 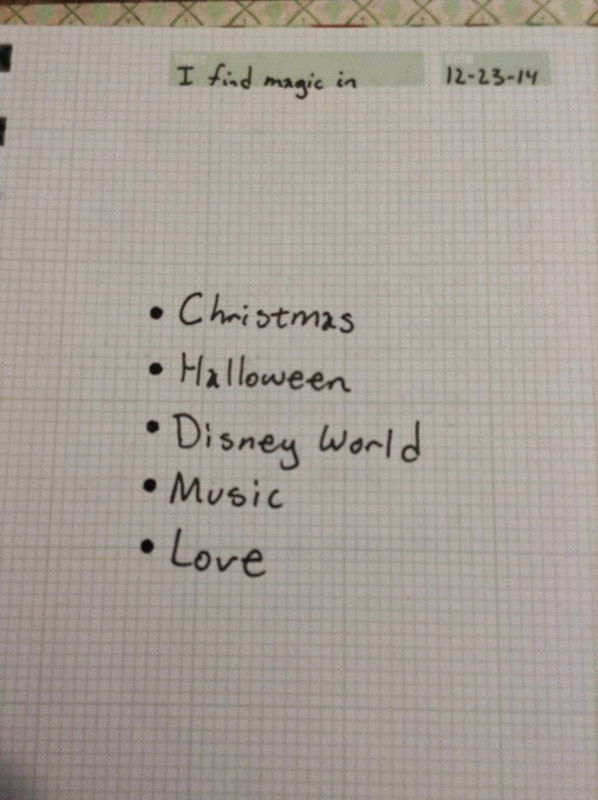 So I decided to make another wish list for this month since my birthday is next month. 1. Nike Dri-FIT 2" Racer Shorts- I really want to start jogging/running once the weather gets warmer and I need some new workout shorts and shoes. I'm hoping that getting new workout clothes will actually make me want to go out and start jogging/running again. 2. Saucony Stabil CS 3- I really, really love these shoes. It even looks like it matches the shorts above. 3. Studio Calico Park Ave. Card Kit- I am in love with this month's Studio Calico card kit (as well as the other kits). I currently don't subscribe, but am considering purchasing a kit or two before committing to a subscription. This month's kit is really making me consider actually subscribing. How cute is that stamp set? And that taxi wood veneer is just adorable! 4. 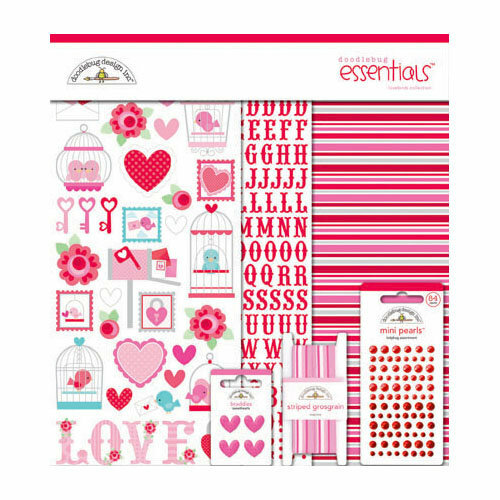 Doodlebug Design Hip Hip Hooray Essential Kit- I think this kit is adorable! 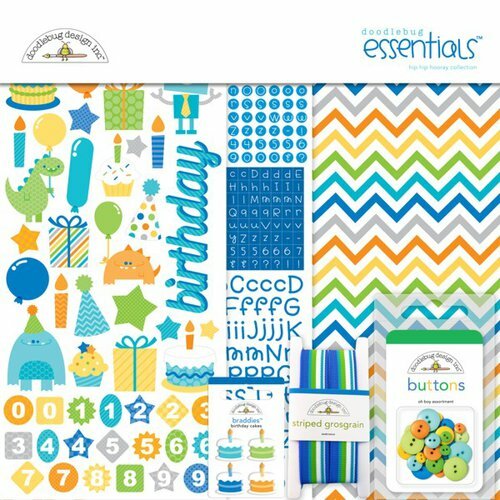 I have two boys and this kit would be perfect to use to document their birthdays. 5. Doodlebug Designs Lovebirds Collection I'm a little obsessed with Doodlebug Designs and love all of their collections. I don't have a lot of Valentine's Day themed products and this kit would be perfect to make some cards, mini albums, layouts, etc. Watching: I got home just in time to catch the 5:00 p.m. news. Sometimes I wonder why I watch the news because it seems most of the news are tragedies, murders, etc. Reading: I did not get a chance to check my emails all day and I was shocked to find a large amount of emails in my inbox. I can't stand when I have a ton of unread emails. Listening: I've been listening to this song a lot. 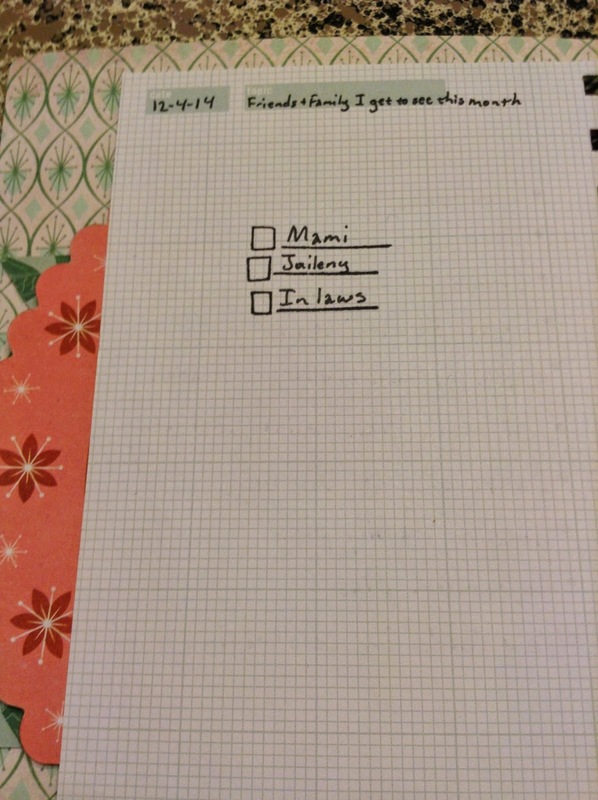 Making: I have to make last minute plans and appointments due to a lot of changes. Feeling: I just received some news that have me feeling a little overwhelmed. Plus there has been a few other things that have been on my mind and it's just...ugh. I'm sure most of the stuff will work out, but it's still overwhelming when so much stuff happens or things get piled up, backed up, and/or moved up. 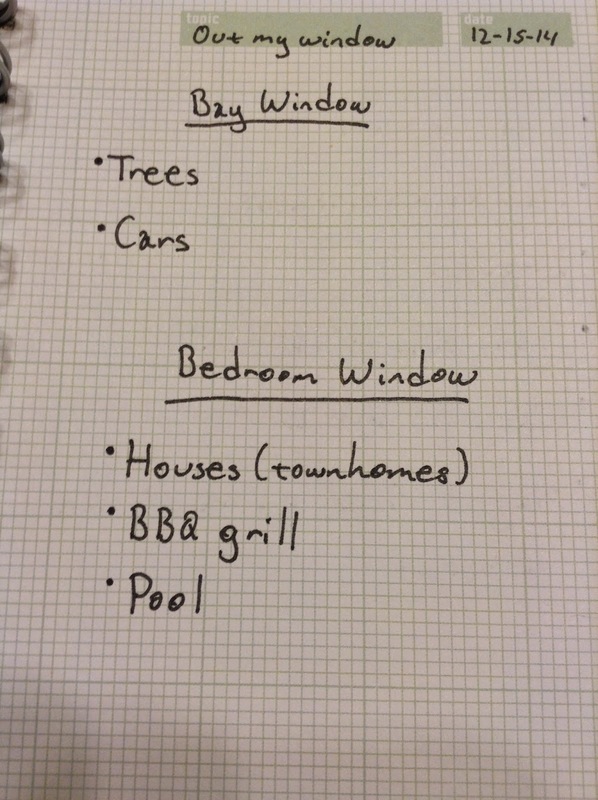 Planning: Even though the news surprised me, I will be planning for some major changes. Loving: I swear my kids and my husband are the best! I love them so much! 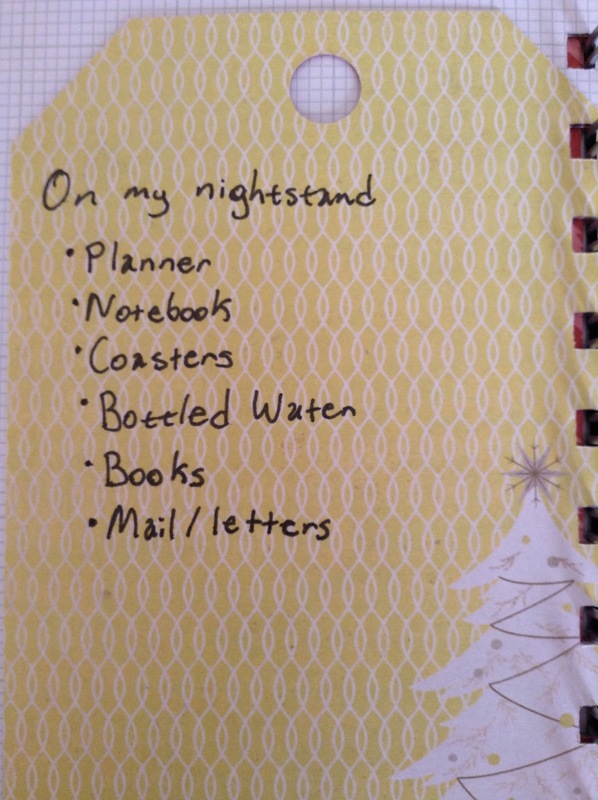 What's on your Currently List? Feel free to share. Happy Sunday! 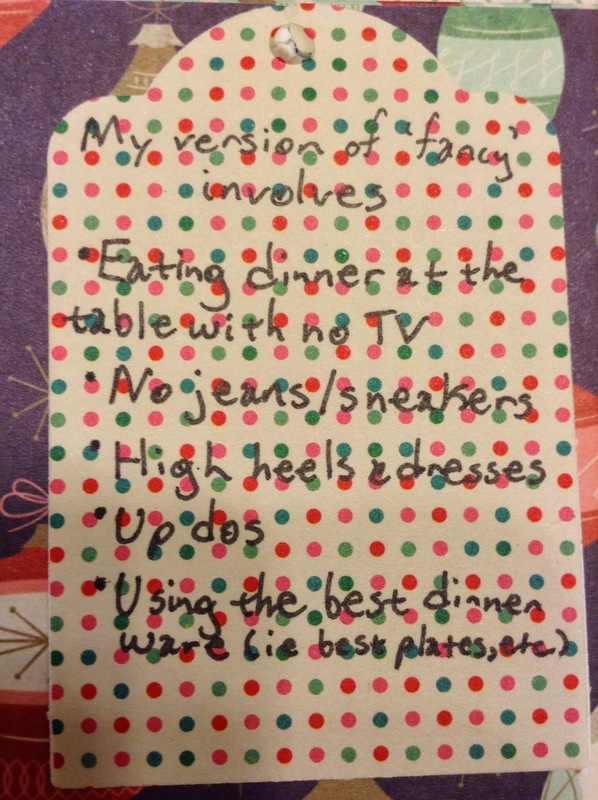 Today I wanted to share list 8-14 of my take on 30 Days of Lists. 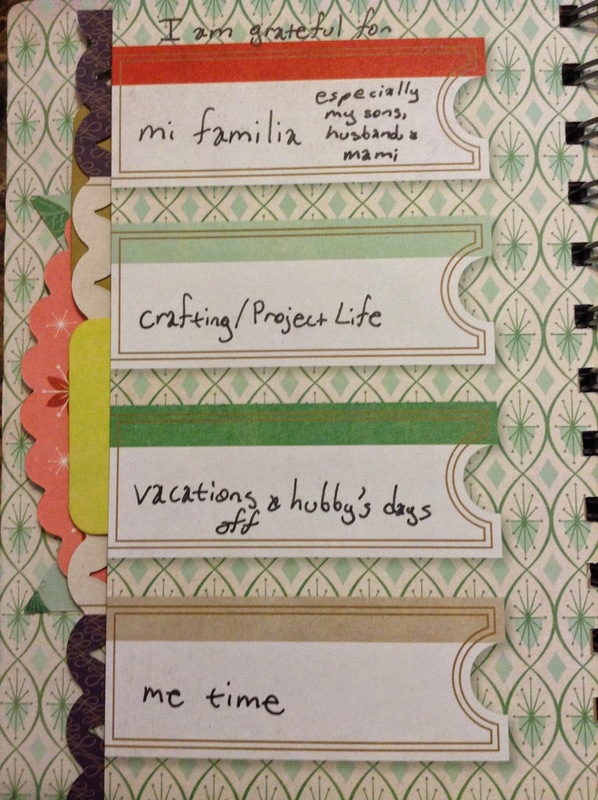 I have finally caught up with the challenge and I am having so much fun recording my lists in my journal. Thanks for visiting today! 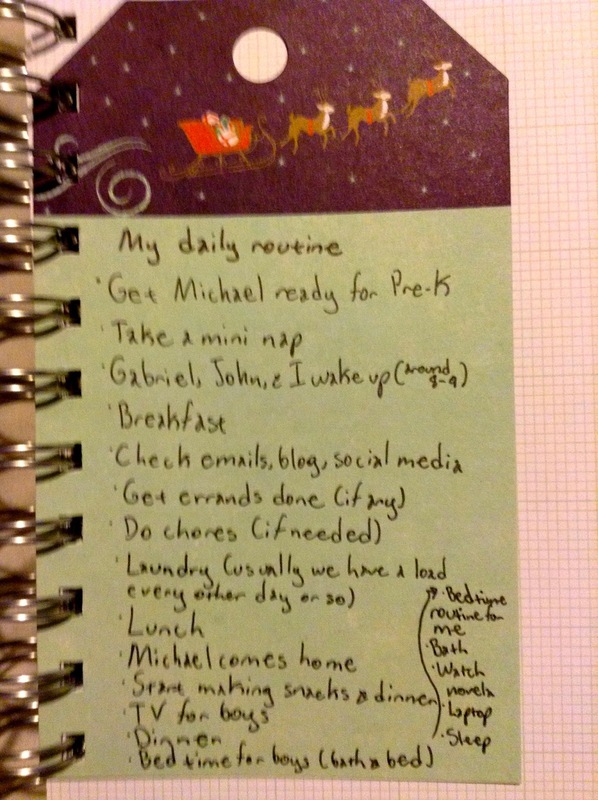 Feel free to share links of your 30 Days of Lists! Hello there! 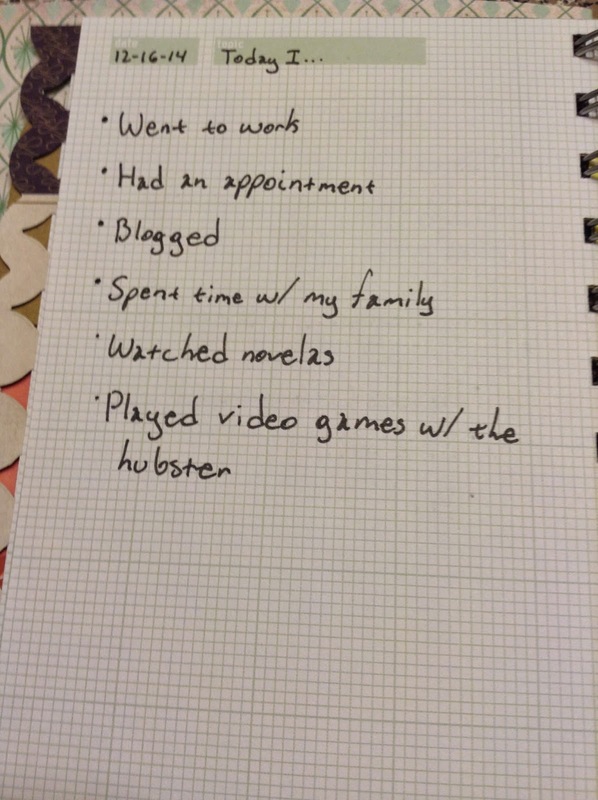 I am participating in this round of 30 Days of Lists. 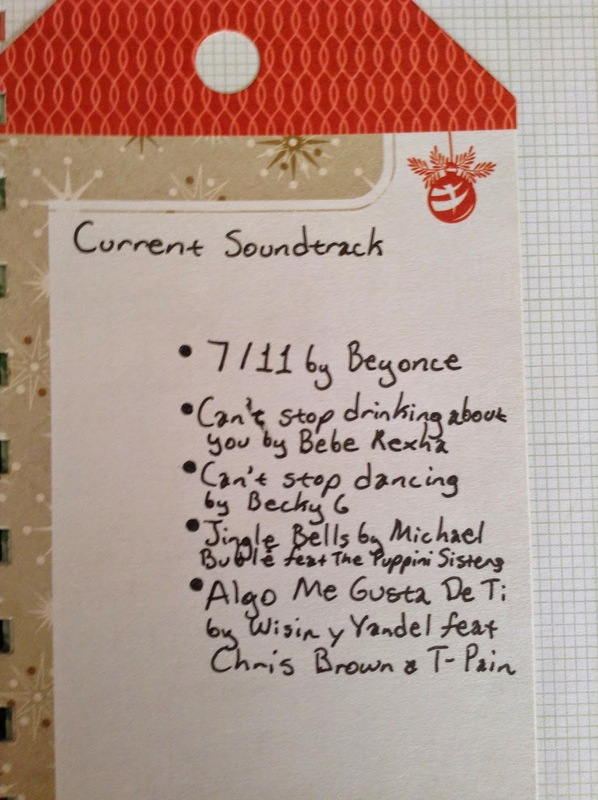 I am a little behind, but I wanted to share lists 1-7 with all of you. I didn't do any embellishing yet because I've been really busy. 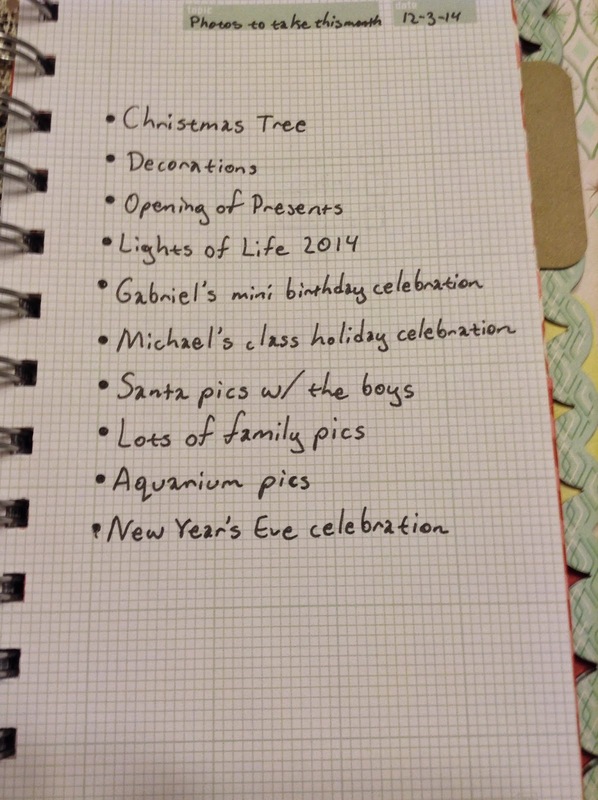 I may do embellishing once I'm done writing all of the lists. 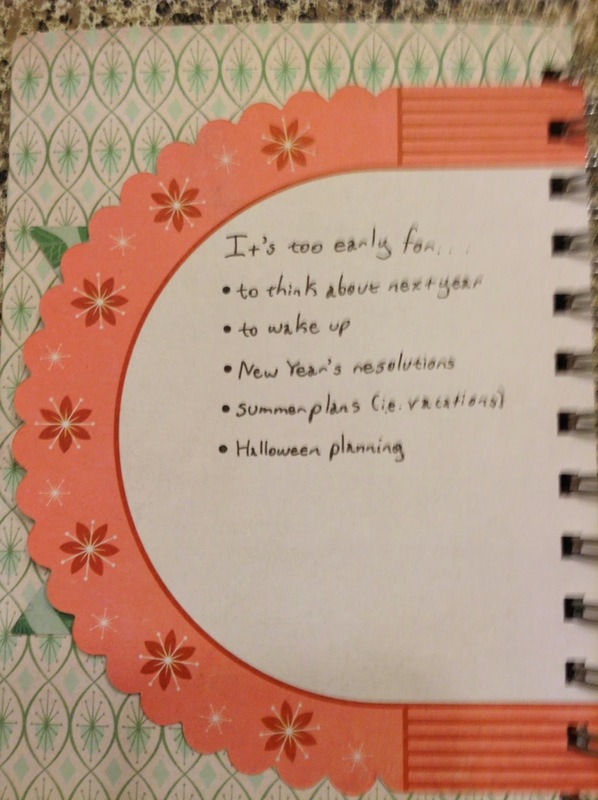 My main goal is to write my lists down. *Bonus: I got to see my aunt and cousin for Thanksgiving. It would be awesome if they come down to visit for Christmas. 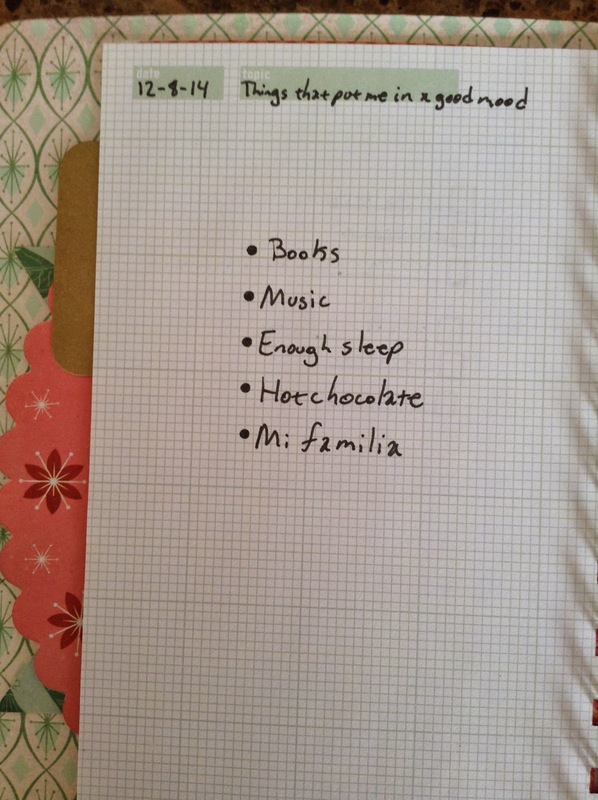 Those are my lists for today. 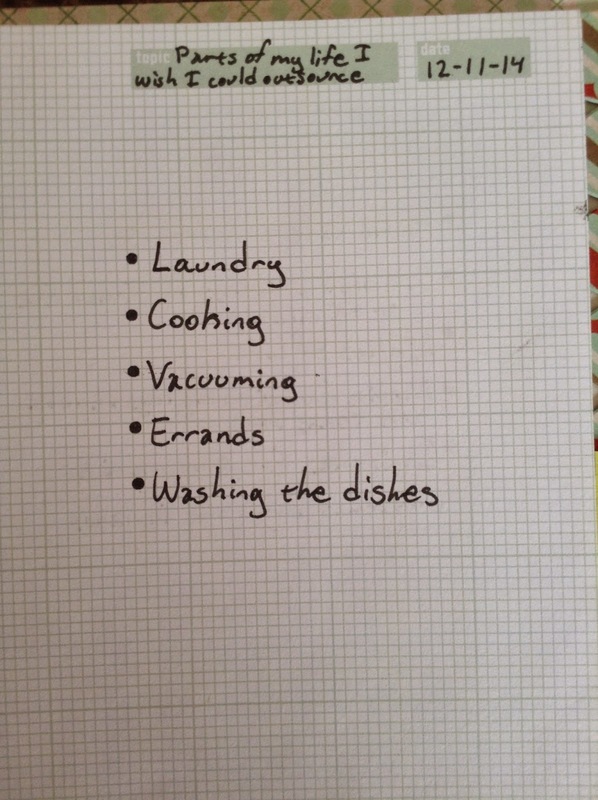 Be sure to look out for lists 8-14. Hello there! 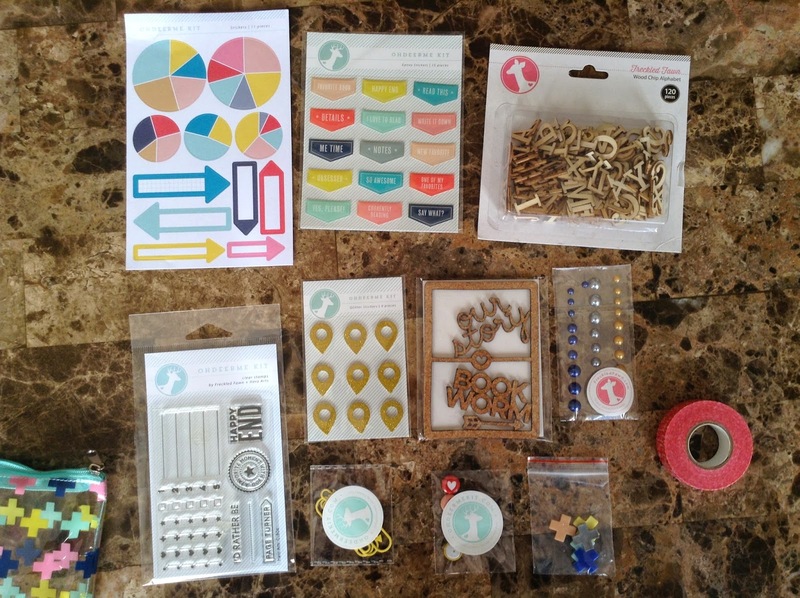 Today I wanted to share my review of the September 2014 Oh Deer Me Kit as well as a layout I made using the kit. I'm a little late because I don't subscribe to Freckled Fawn (yet) and was on the fence on purchasing a subscription. I finally caved in when I saw that they had some Black Friday deals on their site. I purchased their September, October, and Very Merry embellishment kits. I have to say after purchasing the kits and actually having them in my hands, I will definitely be subscribing soon. My favorite items in the package are the epoxy stickers, cork shapes, paper clips, stamp set, and the pie graph/label stickers. I was inspired by Rukristin's post and layout that she made using the September 2014 kit. 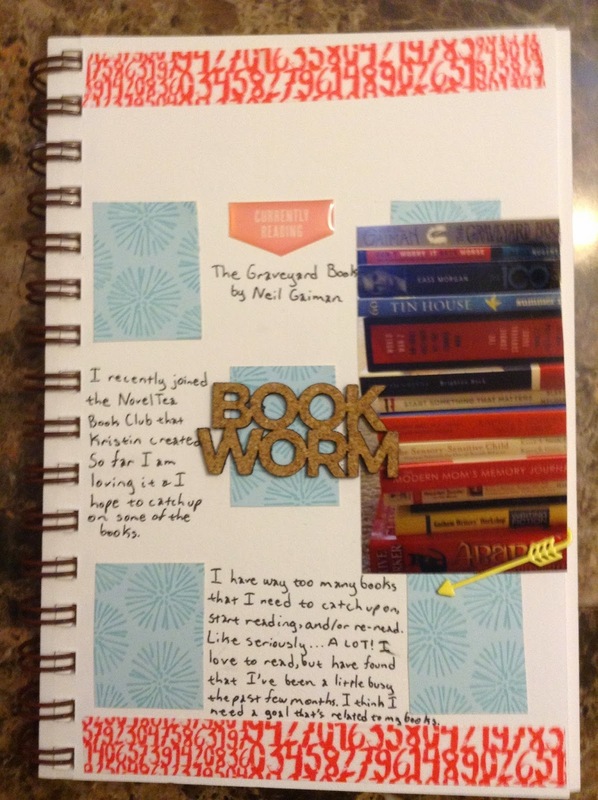 I recently joined a book club as well and the kit was perfect for documenting this as well as my love for books. I absolutely love to read and I have way too many books that I need to catch up on, re-read, and even start reading. I plan on making a goal to read a least one book a month as well as set a time to read my books. 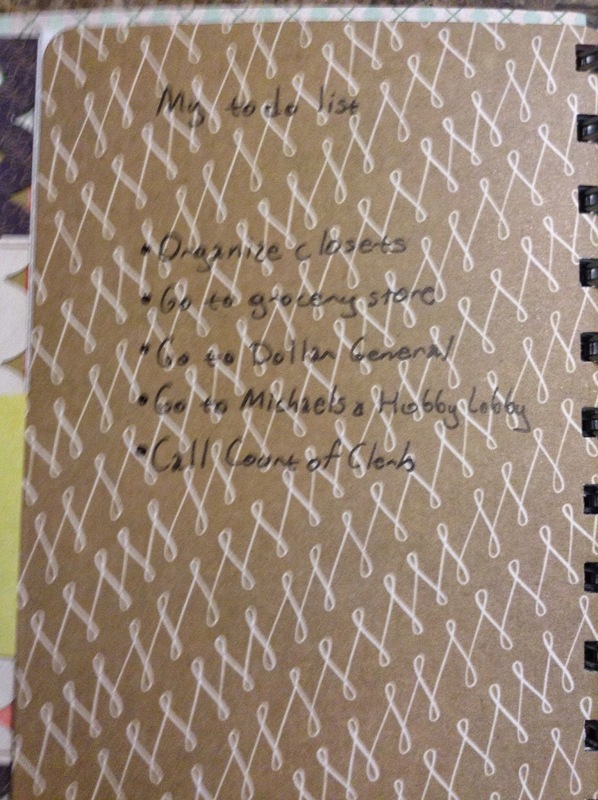 I'm hoping that these two goals will help me read all of the books that I have. I added a picture of just one of the pile of books that I have. What are you reading? What have you been creating? Watching: TMZ is a funny show. I'm watching this show while filling out some stuff online. Reading: Eh, I'm not reading anything too interesting. Just an application that I need to fill out. Listening: I still love this song. 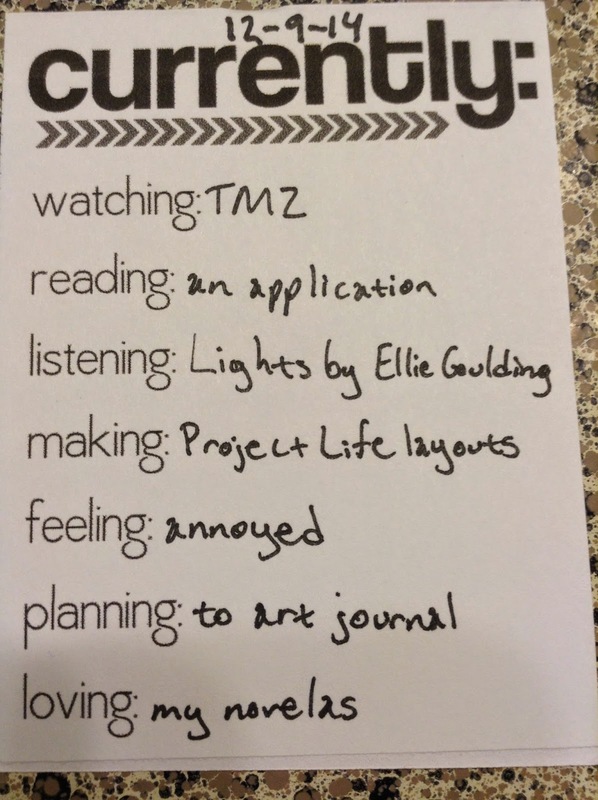 Ellie Gouling is awesome and her song "Lights" is amazing! 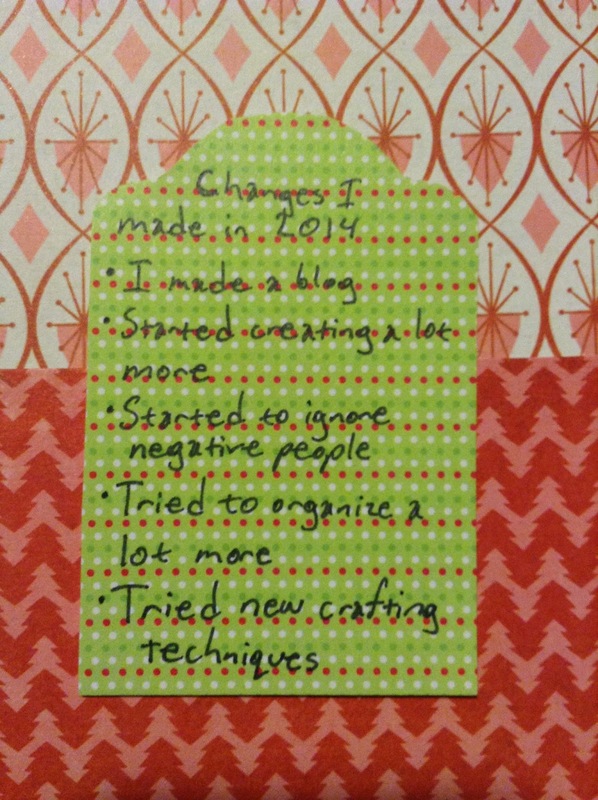 Making: So I'm catching up on Project Life. 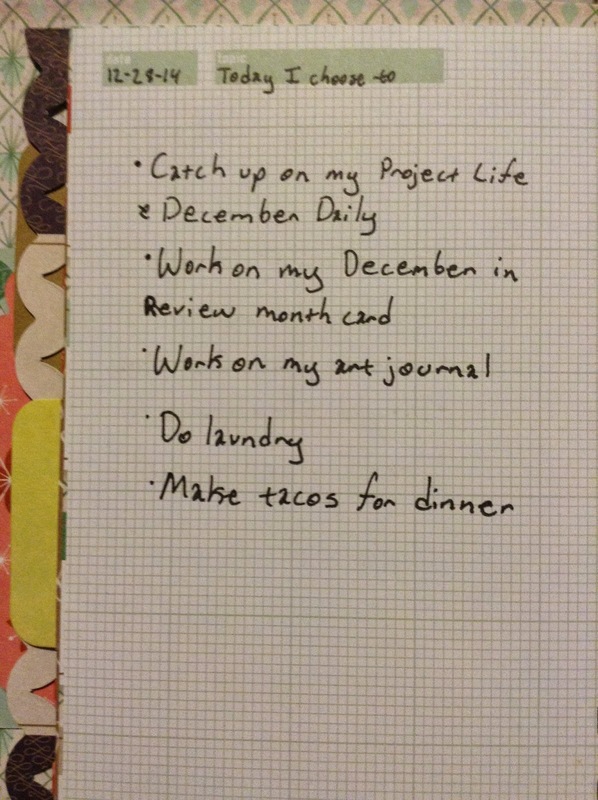 I am combining December Daily with my Project Life and there are at least two days that I didn't take pictures, but I plan to add journaling instead for those days. 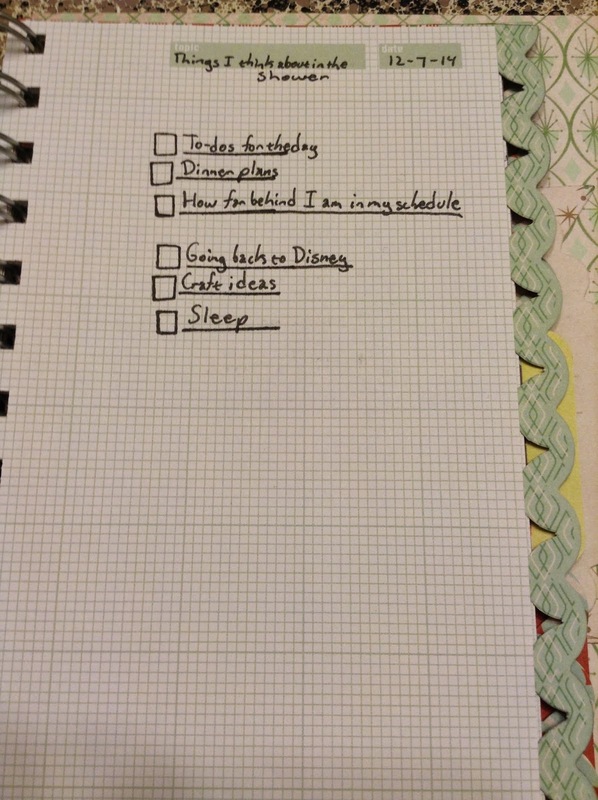 Planning: I need to work on my art journal soon. Maybe some of this stress will go away. Loving: So Reina de Corazones ended last week, but a new one came out and I love it. It's called Tierra de Reyes and it is a remake of a previous novela. I'm sure there will be some differences, but so far I'm enjoying the novela. I also still watch Los Miserables and it's getting interesting. Ah...'tis the season! I am getting even more excited for Christmas and have been making a lot of Christmas crafts, cards, etc. Instead of buying Christmas cards this year, I decided to make my own cards. 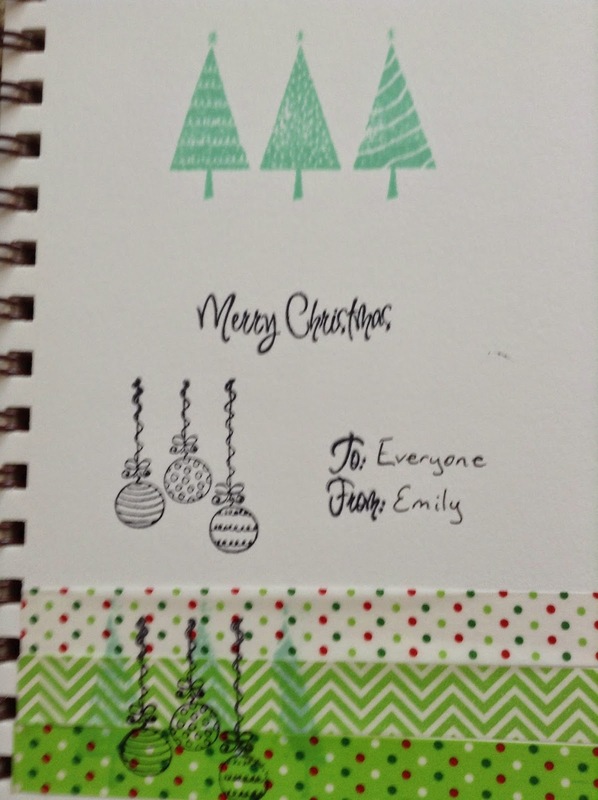 I used some papers from the Paper Studio- Four Seasons paper pack. I also found the cutest embellishments like sequins, sayings, etc. at Hobby Lobby as well and decided that they would be great to put to inside the "window" of the card. I also bought some clear stamps that came in a pack from Michaels. I'm not much of stamper, but lately I have been loving it. 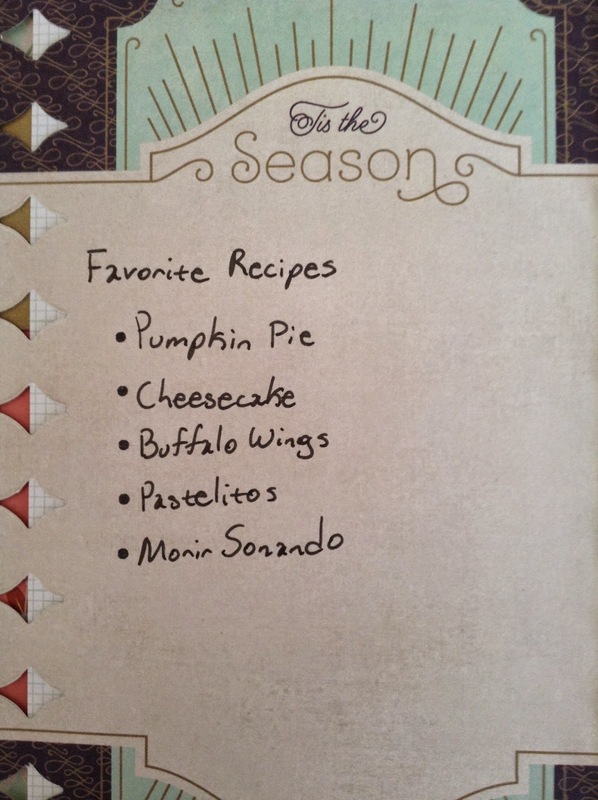 I used StazOn ink and I think it's my favorite ink. I definitely see why everyone recommends it now. 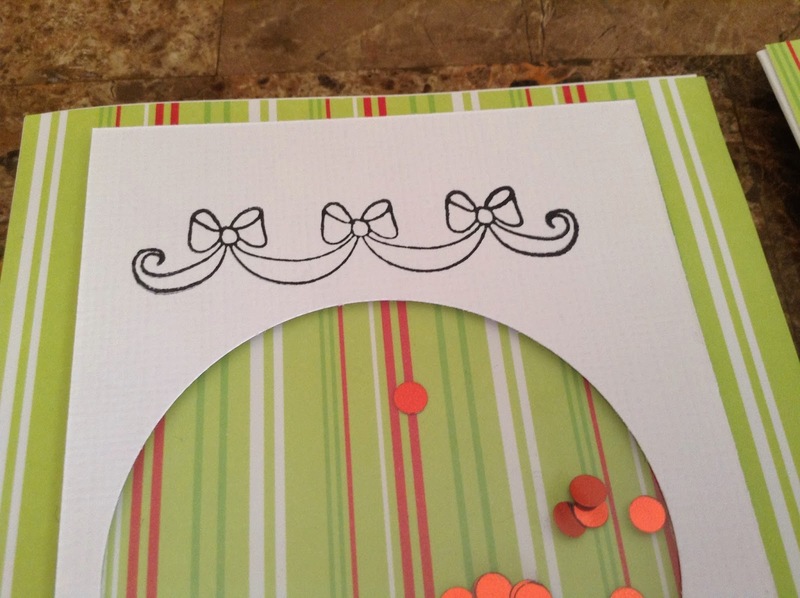 I stamped those bows at the top, but I am considering coloring them red. I may have to find a "Handmade by..." stamp so that I can put it on the back of the card, but I can't decide if I want to do that or not. 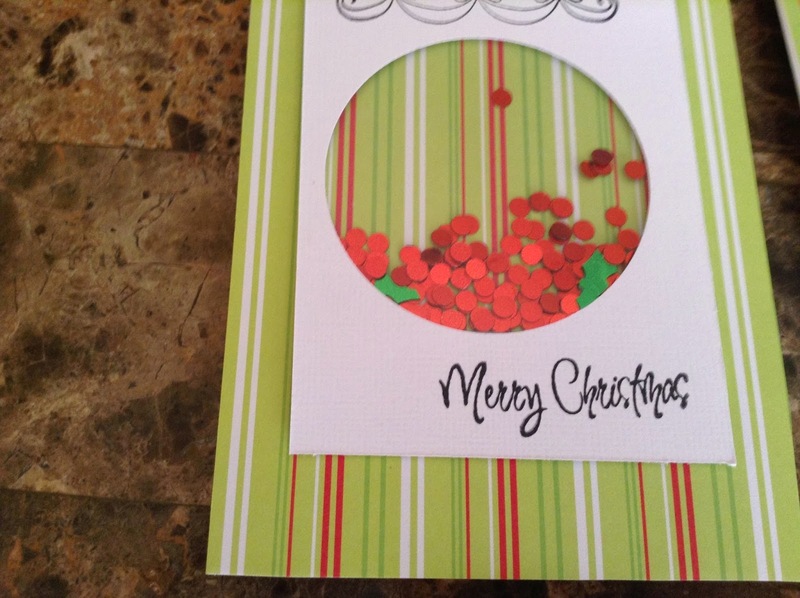 I still have some more Christmas cards to make and hopefully I can get that done by the end of the week. Hello there! 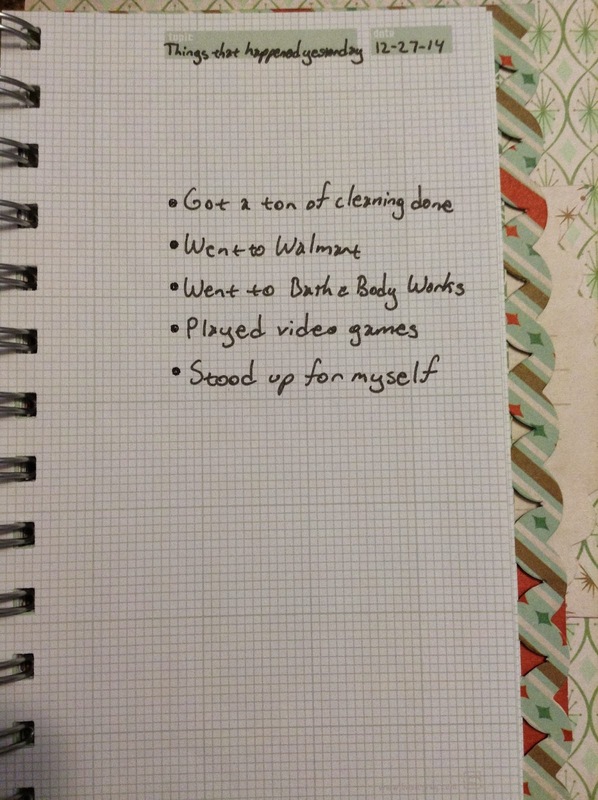 It's Tuesday and it's time for another Currently List! The holidays kept me away so I didn't get to post much last week, but I had such a blast spending time with my family. I hope you all had a wonderful Thanksgiving. Watching: I'm catching up on the finale of Reina de Corazones and I'm a little sad that the show is over. It was a great novela. Reading: I caught up on some blog posts from some of my favorite bloggers. Listening: I haven't listened to Hometown Glory by Adele in a long time. I still love this song and I listened to it several times today. 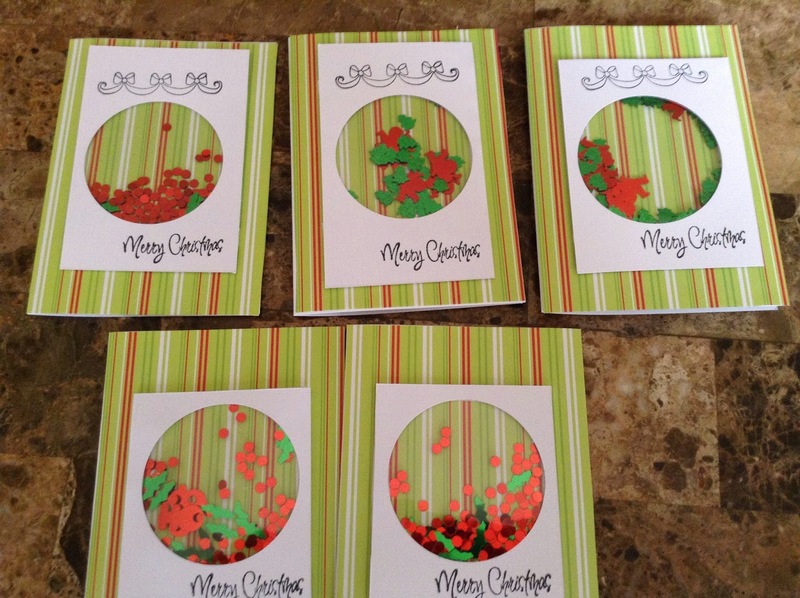 Making: I made a few Christmas cards and I still have some more cards to make. Feeling: I'm happy and excited for the holidays. I'm anxious because of an event that is going to take place soon. I'm feeling super hormonal and hungry. I'm just feeling almost every emotion. 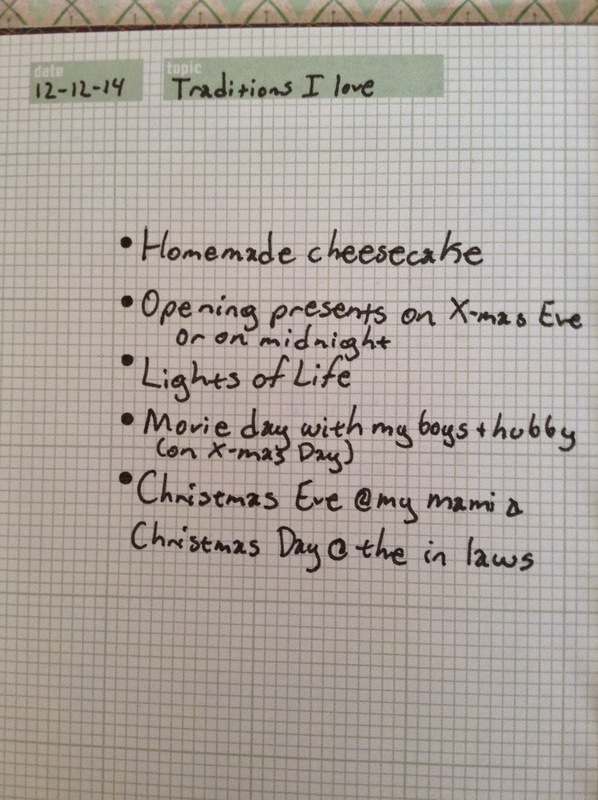 Planning: I need to finish Christmas shopping soon. Thankfully, I'm almost done, but I am a little disappointed that I missed my goal to finish Christmas by the end of November. 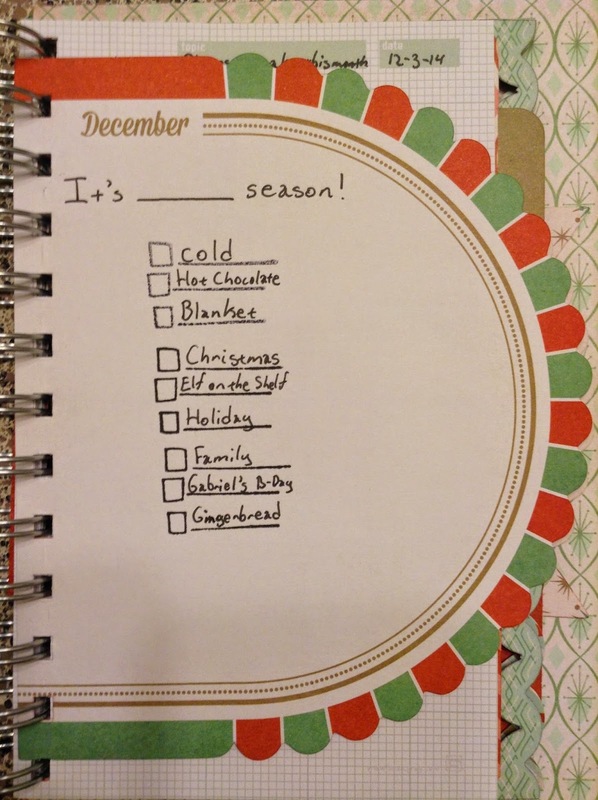 Loving: Although this time of year can be stressful, I still love it! There are so many things to celebrate...my youngest son's birthday, Christmas, and my niece's birthday.